"Les fabricants de pianos de toute l'Europe et de l'Amérique qui ont envoyé leurs produits à l'Exposition universelle sont au nombre de cent cinquante-huit. "Sudden Mania to Become Pianists created upon hearing STEINWAY's Piano at the Paris Exposition 1867." NOTICE OF THE PIANOS EXHIBITED FROM THE UNITED STATES. "The piano manufacturers of the United States may justly claim to have gained and preserved the first reputation in the world. The principal feature upon which that reputation is founded is the introduction of the iron instead of the wooden frame, an improvement which has necessitated and been followed by various others. Until the third decade of the present century only European instruments found a ready market in America. It was soon found, however, that no wooden framed piano could long resist the extraordinary climatic changes of the country without requiring almost constant tuning and repairs. In the Exhibition of 1867, two firms more especially dispute the palm of pre-eminence — Messrs. STEINWAY & Sons, of New York, and Messrs. CHICKERING & Sons, of New York and Boston. The jury readily acknowledged the remarkable qualities of the pianos of these two houses, and, pronouncing them both first-class products, gave equal awards to each, and the highest in its gift, viz: the gold medal. By a decree of the Emperor Mr. C. F. CHICKERING was created Chevalier of the Imperial Order of the Legion of Honor of France. Each of these firms has, from time to time, taken out patentsfor improvements. Mr. CHICKERING claims to be the sole inventor of the circular scale, and to have made many other improvements which have been rendered necessary from time to time by the development of musical science. Messrs. STEINWAY & Sons claim the application of various important improvements necessary for avoiding the thin and disagreeably nasal character of tone at first possessed by the iron frame, and for supplying that solidity of construction which the gradual extension of the musical capabilities of the piano rendered necessary. They claim also the introduction of over-stringing as well as the adoption of agraffes. "Messrs. STEINWAY and Sons are a younger firm than that of which I have just now spoken, but in other respects they are on equal terms. Messrs. STEINWAY's pianos will bear satisfactory comparison, not alone with Messrs. CHICKERING's, but with those of any manufacturer in the world. It seems that the first grand piano turned out by this firm in America was made in 1856, and it is surprising that in 11 years such results should have been obtained. "of the introduction of a complete cast-iron frame, the projection for the agraffes lapping over and abutting against the wrest plank, together with an entirely new arrangement of the strings and braces of this iron frame, by which the most important and advantageous results were achieved. The strings were arranged in such a position that in the treble register their direction remained parallel with the blow of the hammers, whilst from the centre of the scale the unisons of the strings were gradually spread from right to left in the form of a fan, along the bridge of the sounding board, the covered strings of the lower octaves being laid a little higher and crossing the other ones (in the same manner as the other strings), and spread from left to right on a lengthened sound-board bass bridge, which ran in a parallel direction to the first bridge. By this arrangement several importaut advantages were obtained; by the longer bridges of the sounding-board a greater portion of its surface was covered; the space between the unisons of the strings was increased, by which means the sound was more powerfully developed from the sounding-board, the bridges being moved from the iron-covered edges nearer to the middle of the sounding-board, producing a larger volume of tone, whilst the oblique position of these strings to the blow of the hammers resulted in obtaining those rotating viurations which gave to the thicker strings a softness and pliability never previously known." The instruments exhibited by Messrs. STEINWAY consist of two concert grands, a parlour grand, a square, and an upright. With regard to the grand pianos, I can only say that the specimens now placed before the public are, in my opinion, as fine as pianos can be. Every attribute of a splendid instrument is here; strength, depth, sonority, brilliancy, facility of touch, and excellence of construction, combine to make Messrs. STEINWAY's concert-grand a piano of the very first excellence. His other instruments are every bit as remarkable, and I should say that such a square piano was never heard before; if such instruments are frequently turned out in the States I can readily understand that their vogue should continue. MANUFACTURE OF PIANOS IN THE UNITED STATES. "The oldest existing American house for the manufacture of pianos is that of CHICKERING & Sons. It was founded in 1823, by the late Jonas CHICKERING. He began by bringing together and under his personal supervision the various processes of fabrication for all parts of the instrument, from keys to case. In 1837 he engaged the services of Alpheus Babcock. Babcock was the inventor of the entire cast-iron frame, the fourth and final system of bracing, the greatest improvement recorded in the history of the piano, certainly since 1824, not to assume an earlier date. It was applied with the most satisfactory results to square pianos by Swift & Wilson, of Philadelphia, with whom Babcock was associated; but it was not until he entered the establishment of CHICKERING that it received its last modifications and was adapted to the grand and upright piano. Babcock's patent was obtained in December, 1825, for a cast-iron ring or frame to take the strain or pull of the strings, already referred to as so enormous. In 1833, a square piano, with a full cast-iron frame, was exhibited by Conrad Meyer, at a fair of the Franklin Institute, in Philadelphia. The piano manufacturers were slow to adopt metallic frames and preferred to rely upon solid and heavy bed-plates of wood; but, as the compass and power of the instrument was increased, and consequently the strain upon the frame, it was found that wood could not give the necessary resistance, and the iron frames were resorted to, and were rapidly improved. In 1840, Jonas CHICKERING, of Boston, obtained a patent for an "iron wrest-plank bridge," with a projection to hold the wires of the English dampers. In 1855, Messrs. STEINWAY & Sons, of New York, made a piano with a solid front bar and a full iron frame, and with the wrestplank bridge made of wood. "the secret of the great tone of the American pianos consists in the solidity of the construction, which is found as well in the square piano as in the grand piano. The instrument which was and still continues in general use in America is the square piano, which has almost disappeared from European manufacture. The principle of solidity of the American pianos is found in the iron frame, east in one solid piece, which resists the tension of the strings instead of the wooden framework of the European pianos." "The first who thought of employing these frames for the solidity of the instruments was a manufacturer of Philadelphia, named Babcock; he finished the first instrument of this kind in 1825." In 1833, Conrad Meyer, another maker, of the same city, exhibited at the Franklin Institute a piano with an entire cast-iron frame. These manufacturers did not understand the advantages of their innovation; these instruments being strung with strings too thin and not in equilibrium with the metallic frame, their tone was thin and had a metallic sound. In 1840, Jonas CHICKERING, of Boston, founder of the family of piano-makers of that name, took a patent for an iron wrestplank bridge with a projection (socket-rail,) both being cast with the frame in one solid piece. He commenced to use heavier strings on this apparatus, the sonority of which was found to be better. As is always the ease, this invention was improved by degrees. To day the strings of the American pianos are a great deal heavier than those used by the French, German, and English makers. To place them into vibration, the hammers required a more energetic attack than in the English and French actions; hence the considerable increase of the strength of tone. But this advantage is balanced by the hardness of attack which renders the blow of the hammer too perceptible, an objection more offensive in the grand than in the square piano. "On the 20th of December, 1810, the firm of STEINWAY took a patent for a system in grand pianos, which in great part does away with the defect just designated. In this system the iron frame received a new disposition for the placing of the strings and the overstrung bass. This improvement consisted of the introduction of a complete cast-iron frame, the protection for the agraffes lapping over and abutting against the wrest-plank, together with au entirely new arrangement of the strings and braces of this iron frame, by which the most important and advantageous results were achieved. The strings were arranged in such a position, that in the treble register their direction remained parallel with the blow of the hammers, whilst from the centre of the scale the unisons of the strings were gradually ipread from right to left in the form of a fan, along the bridge of the sound-board — the covered strings of the lower octaves being laid a little higher and crossing the other ones (in he same manner as the other strings,) and spread from left to right on a lengthened soundboard bass bridge which ran in a parallel direction to the first bridge. By this arrangement everal important advantages were obtained; by the longer bridges of the sounding-board a reater portion of its surface was covered; the space between the uuisons of the strings as increased, by which means the sound was more powerfully developed from the sounding on the bridges, being moved from the iron-covered edges, nearer to the middle of the junding-board, producing a larger volume of tone, whilst the oblique position of these rings to the blow of the hammers resulted is obtaining those rotating vibrations, which live to the thicker strings a softness and pliability never previously known. The new system of bracing was also far more effective, and the power of standing in tune greatly ineased. The disposal of these strings in the shape of a fan was adopted, distributing their whole number on different bridges over the sounding board. In the treble of the piano, these strings continued to be placed parallel with the direction of the hammers, it being known that in the square piano this position of strings produced tones more intense in this part of the instrument. 1. The length of the bridges on the sounding-board is increased, and the large spaces, which previously had not been utilized, are effectively employed. 2. The space from one string to the other is eularged, from which follows that their vibration develops itself more powerfully and freely. 3. The bridges placed more in the centre of the sounding-board, and consequently further removed from the iron-covered edges, can act with more energy on the elasticity of this board and favor the power of tone; moreover, in keeping the same dimensions of the instrument, the length of the strings is increased. 4. The position of the strings, in the middle and the bass, obliquely to the blow of the hammer, produces circular vibrations from which result soft and pure tones. The system of overstinging is not new; it has been tried several times without success, having been employed without intelligence; for, instead of favoring the vibration of the strings in spreading them, the vibration was damaged by laying them too near each other. It will be seen hereafter that the European manufacturers of pianos have exhibited very good instruments constructed after this system. The upright piano has only come into use in the United States within a few years. Messrs. STEINWAY have introduced, in the construction of this kind of instruments, new improvements, which insure the solidity so necessary in the variable temperature of the climate of the United States. "These improvements consist in a double iron frame and cross-bars being cast in one piece. The left side remains open, and through this opening the sounding-board is inserted; a special apparatus is adapted to this board, which consists of a certain number of screws, serving to compress the sides of the board at will. The success of this combination for beauty of tone, solidity, and standing in tune, determined Messrs. STEINWAY to apply the same system to the construction of grand pianos, the powerful tone of which has become more singing and more sympathetic, by these means of compressing the sounding-board. Messrs. STEINWAY received patents for this important improvement on the 5th of June, 1866. From what has been said, it may be inferred that the large tone of pianos is a true acquisition to art; an acquisition the results of which may be increased by future improvements, and the great merit of which cannot be doubted except by settled prejudice. NOTICE OF PIANOS AT THE EXPOSITION. - UNITED STATES. 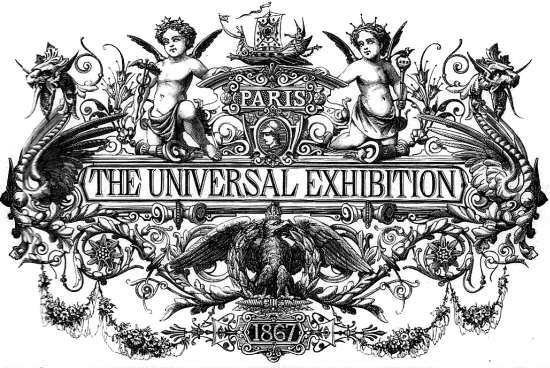 In no branch of industry did the United States win more distinction at the Universal Exposition of 1867 than in the manufacture of pianofortes. The splendid specimens exhibited by the two firms that have been mentioned, Messrs. STEINWAY & Sons, of New York, and Messrs. CHICKERING, of Boston, created a profound sensation not only with artists and professional musicians, but also with the musical public at large. Both firms exhibited grand, square, and upright pianos, and each received a gold medal upon the award of the international jury. The award of two gold medals to piano manufacturers in the United States is the more significant and gratifying, when it is considered that the jury on musical instruments awarded but four gold medals, and that no member of this jury was from the United States. The American mode of bracing, as exhibited at the Champ de Mars, excited the profouudest interest among European artists and makers. Another feature of the American instruments that also attracted great attention was the fact that their scales, being much larger than those of European make, produced a peculiar freedom and clearness in the vibrations of the strings, and as a second consequence a firmness and roundness of tone not observable in any other piano-fortes at the Exposition. How to augment the sonority and how prolong the sound ad libitum, were the problems that European manufacturers had been studying for years. They recognize a satisfactory solution of the first in the instruments of STEINWAY and of CHICKERING. "The pianos of Messrs. STEINWAY & Sons are equally endowed whh the splended sonority of the instruments of their competitor; they ak possess that seizing largeness and volume of tone, hitherto unknown which fills the greatest space. Brilliant in the treble, singing in the middle, and formidable in the bass, this sonority acts with irresistible power on the organs of hearing. In regard to expression, delicate shading, and variety of accentuation, the instruments of Messrs. STEINWAY have over those of Messrs. CHICKERING an advantage which cannot be contested. The blow of the hammer is heard much less, and the pianist feels under his hands a pliant and easy action which permits him at will to be powerful or light, vehement or graceful. These pianos are at the same time the instrument of the virtuoso who wishes to astonish by the eclat of his execution, and of the artist, who applies his talent to the music of thought and sentiment bequeathed to us by the illustrious masters; in a word, they are at the same time the pianos for the concert room, and the parlor, possessing an unexceptional sonority." The cycloid piano, exposed by Messrs. Linderman & Sons, of New York, attracted some attention by its peculiarity of form, but received no recompense from the jury. Two systems of construction for grand pianos are now generally adopted in the United States. In one all the strings are parallel; in the other the bass or covered strings are crossed as in the square piano. The second arrangement is practiced with advantage in the latter instrument, becanse the limits of the case, and especially of the width of the sounding board. do not admit a long and broadly expanded scale; but no corresi>ondin? advantage is derivable from its application to the grand piano, wheiv there is ample space in length and breadth. It was practiced many years since in France by both Erard and Pape. but was afterwards relinquished on account of the imperfect and confused vibrations caused by the two bridges being placed on nearly the same part of the sounding board. It seems to us—and the opinion of celebrated experts coincides with ours on this point—that it is useless to have recourse to the contrivance of overstringing where there is sufficient space for a parallel distribution of the strings. The reasons for preferring the parallel system are based on the laws of acoustics, and confirmed by the direct testimony of scientific experience. An attentive comparative study of the American and German instruments, and of the specimens of overstrung and parallel-strung grand pianos in the Exhibition, has practically proved the superiority of the parallel in arrangement. In all that were cross-strung or over-strung one peculiarity was remarked which cannot but be deemed a defect; for the crossing of the bass strings on a sensitive part of the sounding board that is graduated for plain steel strings makes the bass too powerful and preponderant. Something has been said of late of an independent sounding board attached to the pianos by screws and metallic bands. This is not a new nor an original American contrivance. It was invented and patented in France by Pape, in 1828; and its practical application to an upright and to a grand piano by Cadby was exhibited at London in 1851. It has long since been renounced both by Pape and Cadby. They found that this plan of attaching more or less firmly to the instrument its most vital part, the sounding board, could not be made to co-exist with the requisite solidity of construction. Before closing the observations upon pianos from the United States we may be permitted an expression of regret that more of our manufacturers, such as Bradbury, of New York, Knabe, of Baltimore, Hallet and Davis, of Boston, and many others, were not represented at the Paris Exposition, where, we have no doubt, they would have also borne honorable part in the peaceful contest in which CHICKERING and STEINWAY have won so brilliant a triumph. The masterpieces of ingenuity, mechanical skill, and artistic excellence presented by these gentlemen are so highly appreciated that many European makers have already begun to build from their models, and there is but little, doubt that within a few years the old methods of construction will be as thoroughly abandoned in Europe as they are in America. "Le 20 décembre 1859, la maison STEINWAY prit un brevet pour un système de piano à queue qui faisait disparaître, en grande partie, le défaut qui vient d'être signalé. Dans ce système, le cadre en fer reçut une disposition nouvelle pour le placement des cordes et des traverses. Le placement de ces cordes, en forme d'éventail, fut adopté, en divisant leur ensemble sur les divers chevalets de la table d'harmonie. Dans le dessus du piano, on continua de placer les cordes parallèlement à la direction des marteaux, parce qu'il avait été reconnu, dans le piano carré, que cette position des cordes produit des sons plus intenses dans cette partie de l'instrument. Dans le médium, les cordes furent tendues en forme d'éventail, de droite à gauche, autant que l'espace le permettait. Les cordes de la basse, filées sur acier, furent tendues de gauche à droite, au-dessus des autres, sur un chevalet plus élevé et placé derrière le premier. 1° La longueur des chevalets de la table d'harmonie est augmentée, et l'on peut profiter de grands espaces qui n'avaient pas été utilisés jusque-là;. 3° les chevalets, posés plus au centre de la table d'harmonie, et conséquemment plus éloignés des bords ferrés de la caisse, agissent avec plus d'énergie sur l'élasticité de cette table, et favorisent la puissance du son; de plus, en gardant les mêmes dimensions pour l'instrument, la longueur des cordes se trouve augmentée; 4° la position des cordes du médium et de la basse, vers la direction du coup de marteau, produit des vibrations circulaires, d'où résultent des sons moelleux et purs. Le système du croisement des cordes n'est pas nouveau; il a été essayé plusieurs fois sans succès, mais il était employé sans intelligence; car, au lieu de favoriser les vibrations des cordes, en les écartant, on y portait atteinte en rapprochant ces cordes l'une de l'autre. On verra plus loin que des fabricants de pianos européens ont exposé de très-bons instruments construits dans ce Système. Les pianos droits ne sont en usage dans les États-Unis que depuis peu d'années. MM. STEINWAY ont introduit dans la construction de ce genre d'instruments des nouvelles combinaisons qui en assurent la solidité, si nécessaire dans le climat à température variable des États-Unis. Ces améliorations consistent en un double cadre en fer, avec plaque d'attache et barrages, fondus en une seule pièce. Le côté gauche de ce cadre reste ouvert, et par cette ouverture se glisse la table d'harmonie: à celle-ci s'adapte un appareil spécial, lequel consiste en un certain nombre de vis qui servent à comprimer ses bords à volonté. Le succès de cette combinaison, pour la beauté du son et la solidité de l'accord, a déterminé MM. STEINWAY à appliquer le même système à la construction des pianos à queue, dont la puissance du son est devenue plus chantante et plus sympathique, par ce moyen de compression facultative de la table. MM. 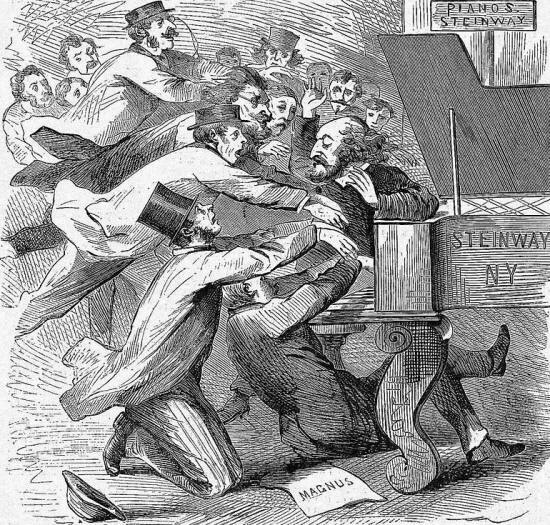 STEINWAY ont été brevetés le 5 juin 1866 pour cette importante amélioration. Les pianos de MM. STEINWAY père et fils sont également doués de la splendide sonorité des instruments de leur concurrent; ils ont aussi l'ampleur saisissante et le volume, auparavant inconnu, d'un son qui remplit l'espace. Brillante dans les dessus, chantante dans le médium, et formidable dans la basse, cette sonorité agit avec une puissance irrésistible sur l'organe de l'ouïe. Au point de vue de l'expression, des nuances délicates et de la variété des accents, les instruments de MM. STEINWAY ont sur ceux de MM. CHICKERING un avantage qui ne peut être contesté; on y entend beaucoup moins le coup de marteau, et le pianiste sent sous sa main un mécanisme souple et facile, qui lui permet d'être à volonté puissant ou léger, véhément ou gracieux. Il n'y eut pas autant d'indifférence à l'Exposition internationale de Londres (1862), où MM. STEINWAY père et fils avaient envoyé plusieurs instruments, parmi lesquels se trouvait un grand piano de concert. Un des fils de M. STEINWAY avait accompagné ces instruments à l'Exposition; il les fit jouer incessamment, et le public, charmé par leur grand son, ne cessa de s'amasser en foule pendant plusieurs mois dans le compartiment qui les contenait. Le Jury ne fut pas moins intéressé que le public parla puissance etle charme de ces pianos, particulièrement par le piano carré, égal en sonorité aux plus beaux pianos à queue. "The firm of Messrs. CHICKERING appears to have been the Messrs. first in America to manufacture grand pianos at all. Until on the beginning of this century the art was, so to speak, unknown in the States; and the demand for instruments, such as it was, could readily be supplied by European markets. From the year 1825 the first evidence of progress can be traced; but manufacturers do not seem to have turned their attention to grand instruments until about the year 1840. The first in the field was the late Mr. Jonas CHICKERING, of Boston. His pianos appear to have been modelled on those of Erard, of Paris, but were constructed with the full iron frame. The line of the wrest plank bridge consisted of an iron ledge projecting upwards from the iron frame. Into this ledge holes were drilled, which were lined with cloth; and through these the strings were laid. Mr. CHICKERING took out a patent for this upward projecting ledge in 1843. It is interesting to trace the steady yet rapid progress which has been made in the manufacture of American pianos, but, having regard to the space at my disposal, I fear I must pass over the intermediate improvements effected by Messrs. CHICKERING, and come at once to the superb instruments which are now standing in their name at the Exhibition. "The pianos of Messrs. CHICKERING & Sons are powerful and magnificent instruments, which, under the hands of a virtuoso, produce great effects and strike with astonishment. Their vigorous sonority is carried far, free, and clear. In a large hall, and at a certain distance, the listener is struck with the fulness of tone of these instruments. Nearer by, it must be added, there is combined with this powerful tone the impression of the blow of the hammer, which produces a nervous sensation by its frequent repetition. These orchestral pianos are adapted to concerts; but in the parlor, and principally in applying them to the music of the great masters, there is wanting, by the same effect of the too perceptible blow of the hammer, the charm that this kind of music requires. "The manufucture of piano-fortes in this country is of immense extent. In every large city there may be found several immense buildings devoted exclusively to it besides many smaller factories. Some idea of its magnitude may be had when it is stated that in the “New York Business Directory" there may be found no less than one hundred and sixteen firms or individuals carrying on the business on their own account, not counting action-makers and other makers of parts of the instrument. One of the most marked changes in the habits of society, as civilization advances, is with respect to the character of its amusements. Formerly, nearly all such amusements were away from home, and in public ; now, with the more educated portion of society, the greater part is at home and within the family circle, music on the piano contributing the principal portion of it. In the more fashionable circles of cities, private concerts increase year by year, and in them the piano is the principal feature. Many a man engaged in commercial and other active pursuits finds the chief charm of his drawingroom in the intellectual enjoyment afforded by the piano. By its use many persons who never visit the opera or concerts become thoroughly acquainted with the choicest dramatic and orchestral compositions ; this influence of the piano is not confined to them, but extends to all classes ; and while considerable towns have often no orchestras, families possess the best possible substitute, making them familiar with the finest compositions. The study of such compositions, and the application necessary for their proper execution may be, and ought to be, made the means of greatly improving the general educational habits and tastes of piano students, and thus exerting an elevating influence in addition to that refined and elegant pleasure which it directly dispenses." The exact date of the birth or invention of the piano-forte is involved in as much obscurity as its country. Germans, French, and English all lay claim to the invention during the second decade of the past century; but it seems most probable that the honor should be awarded to an Italian, Bartolomeo Cristofali, of Padua, to whom it is ascribed in the Giornale d’ltalia for the year 1711. Stringed instruments of the same general character, viz. : the clavichord, spinet, and harsichord, had, howevar, been made for nearly two hundred years before. In the clavichord the strings were struck or pressed by pieces of wire attached to the keys. In the spinet the string was struck in a manner to imitate the action of the human fingers on the strings of the harp, by pieces of crow or raven quill attached to. the tongue of a little instrument termed a “jack,” at' tached to the finger-key. Fig. 1 is a representation one of these inflimmeuts now in the possession of Messrs. CHICKERING & Sons, of Boston. The spinet had but a single string to each note. When two strings came to be used to each note, the name of the instrument was changed to that of the harpsichord, or horizontal harp. The strings were still vibrated by means of quills, although from the rapid wear, and the long time occupied in frequent “requilling” the instrument, other elastic substances, as ivory and leather, were substituted, but the instrument is said to have lost in sweetness by the change. Messrs. CHICKERING & Sons have in their possession one of these instruments with two rows of keys, of which Fig. 2 is a representation. The great step made in the improvement of instruments of this class, and which gave birth to the piano-forte, was the substitution of hammers to strike directly against the string for the devices previously used for pulling it or striking it with a glancing action. It is stated, however, by writers of the period, that the touch and mechanism of the earlier pianos were so imperfect that no quick music could be played upon them, but that in slow music the effect was very fine. So far from there being any such defect in the pianos of the present day, there is no instrument of which the touch is so delicate, or by which the most complicatedmusic can be played with such brilliancy and rapidity of execution. We believe that the first piano-forte ever manufactured in this country was manufactured in New York, near the close of the last century, by a Mr. Geib, a German, who had previously been engaged in the business in London ; but so lately as the year 1823, when the late Mr. Jonas CHICKERING established his business in Boston, the number of pianofortes made in this country was very small, most of the instruments then used being imported from England. This gentleman, originally a cabinet-maker, brought into the business great mechanical skill and scientific powars, exquisite musical taste and an undaunted will, and the result has been that the establishment now carried on by his three sons as the firm of CHICKERING & Sons, in Tremont street, is the most extensive piano manufactory in the world, and during the year 1865 the piano trade of the United States amounted to fifty-nine millions, two hundred and eighty-four thousand, six hundred and seventythree dollars ($59,284,673), and the number of pianos made was upwards of one hundred and eighteen thousand, or a little over three hundred and eightyone for every working day in the year. Mr. Jonas CHICKERING and his successors, Messrs. CHICKERING & Sons, have made altogether, to the first of the present month, no less than thirty thousand five hundred instruments, and the firm now turn out forty per week. Their instruments haVe long hada world wide reputation, and so far from there being now any importation of pianos to this country, they are now exported to Europe. One of the greatest improvements ever made in the pianoforte was the full iron frame, and the credit of this is due to Mr. Jonas CHICKERING, who introduced it as early as the year 1838. This added immensely to the solidity of the instrument, the permanence and purity of the tone, and the re; sources of the key-board through added strings, and is used in all the best pianos now made in this country. Mr. CHICKERING was also the sole inventor of the circular scale—now so generally used by manufacturers in this country and in Europe. It was first used (or published) Nov. 29, 1845. It was not patented—the inventor preferring to regard it as. one of the things which all should use. The improvements which Mr. CHICKERING made in the entire construction of the instrument were r. merous. His whole mind was absorbed in the idea" of a perfect piano ; to obtain such a desideratum he labored, experimented, sought advice and assistance, and left no means untried which could aid in his endeavor. Messrs. CHICKERING & Sons manufacture pianos of the three classes known as “grand," “square,” and “upright,” and of each class several different kinds, making in all twenty-one different styles, at prices generally varying from $350 to $1,500; but they are now making six instruments worth $2,500 each. 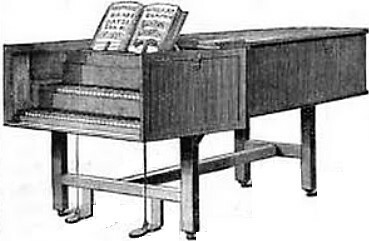 “'hile 0n the subject of style we may remark on the extreme artistic beauty of the exterior of the modern piano-fortes, and in illustration of this We give a representation (see figure above) of one of Messrs. CHICKERING & Son's square pianos, that the reader may compare it with the kitchen-table-like style of the antiquated spinet and harpsichord. The factory of Messrs. CHICKERING & Sons, situated on the westerly side of Tremont street (between Camden and Northampton streets), Boston, is said to be the largest building in the United States, except the National Capitol and the Patent Office at Washington. It occupies a hollow square of about five acres of ground, is five and six stories, and contains eighteen acres of floor. "Aucun piano fabriqué dans les États-Unis d'Amérique n'avait paru en Europe avant 1851 ; alors MM. CHICKERING et fils, de Boston, envoyèrent à l'Exposition internationale de Londres un piano carré de très-grande dimension, à cordes croisées, dont le son avait une puissance remarquable. A cette Exposition, Pierre Erard avait fait des efforts extraordinaires pour triompher de tous ses concurrents, et rien n'avait été négligé pour absorber sur ses instruments l'attention générale et assurer le succès qu'il ambitionnait. L'instrument de M. CHICKERING ne produisit pas alors l'effet qu'il méritait, comme en jugea alors celui qui écrit ce rapport. Pendant et après l'Exposition, on ne parla pas du piano américain. Soit qu'ils eussent été mécontents du résultat obtenu par eux à Londres, soit que leur attention fût détournée par quelque intérêt plus important, MM. 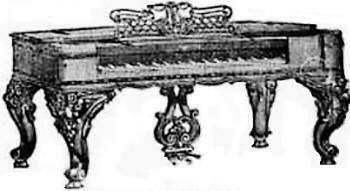 CHICKERING n'envoyèrent pas de piano à l'Exposition universelle de Paris, en 1855; maison y vit un piano carré de très-grande dimension, sous le nom de M. Ladd, de Boston. Le retentissement qu'eut en Amérique le succès obtenu par ces industriels détermina MM. CHICKERING à envoyer en Angleterre et en Allemagne plusieurs grands pianos, sur lesquels ils sollicitèrent l'attention des artistes les plus renommés; déjà les virtuoses Gottschalk et Thalberg en avaient fait beaucoup d'éloges, pendant leur séjour dans les Etats-Unis. A ces noms s'ajoutèrent ensuite ceux de Léopold de Meyer, d'Alfred Jael, de Benedict, de Mme Arabella Goddard, de Moscheles, de Balfe et de beaucoup d'autres. La lutte entre les deux plus grands établissements de fabrication de pianos américains, à savoir de MM. STEINWAY et CHICKERING, s'est produite avec un caractère fiévreux dans l'Exposition universelle actuelle de Paris : elle n'a pas eu toujours la dignité convenable; on a usé et abusé des réclames de journaux; mais on ne peut méconnaître le vif intérêt qu'a pris à cette lutte la foule prodigieuse qui n'a cessé de se réunir autour de ces instruments lorsquon y jouait. Évidemment, il y avait là quelque chose de nouveau qui impressionnait le public; ce nouveau était une puissance de son auparavant inconnue. Ce n'est pas à dire que ce son formidable ne rencontrât que des éloges; les partisans dela facture européenne des pianos reprochaient aux Américains de lui avoir sacrifié toutes les autres nécessités de l'art : le moelleux, les nuances délicates et la clarté. «Il y a toujours quelque chose à faire en ce qui tient aux « besoins de l'humanité, à quelque point de vue qu'on se place « dans l'industrie, dans la science et dans l'art. A ces considérations, dont la justesse n'a pas été contestée, il faut ajouter que la nécessité d'augmenter la puissance sonore du piano a été si bien sentie en Europe, même depuis les derniers perfectionnements de l'instrument, que la recherche des moyens de la réaliser a préoccupé les acousticiens et les facteurs les plus habiles. Ce problème, le fait vient de prouver qu'il a été résolu en Amérique. Le rapporteur ne croit pas devoir traiter ici les questions de priorité et de propriété d'invention, parce que ces questions sont souvent obscures et peuvent toujours entraîner de longues discussions. En voyant les mêmes moyens mis en œuvre librement par plusieurs fabricants de pianos dans le même pays, il en conclut que ces choses y sont dans le domaine public, et son attention n'est fixée que sur le mérite de l'exécution et sur les résultats. Le secret du grand son des pianos américains consiste dans la solidité de leur construction ; il se trouve aussi bien dans le piano carré que dans le piano à queue, car ce dernier n'a été l'objet des travaux des fabricants de New-York et de Boston que depuis 1856. L'instrument dont l'usage était et est encore le plus général en Amérique est le piano carré, lequel a à peu près disparu de la fabrication européenne. Le principe de solidité des pianos américains se trouve dans un cadre en fer fondu d'une seule pièce, sur lequel s'opère la traction des cordes, au lieu de la charpente en bois des pianos européens. Le premier qui imagina d'employer ces cadres pour la solidité des instruments fut un facteur de Philadelphie, nommé Babcock; il termina son premier instrument de ce genre en 1825. En 1833, Conrad Meyer, autre facteur de la même ville, exposa à l'Institut Franklin un piano avec un cadre complet en fer fondu. Ces industriels n'avaient pas compris les avantages de leur innovation, car leurs instruments étaient montés en cordes trop minces, qui n'étaient pas en rapport d'équilibre avec le cadre métallique; leur son était maigre et sentait la/erraille. En 1840, Jonas CHICKERING, de Boston, chef de la famille des facteurs de ce nom, prit un brevet d'invention pour un sommier à chevilles ayant un sillet fondu d'une seule pièce avec le cadre; il commença à tendre sur cet appareil des cordes plus fortes, dont la sonorité était meilleure; comme il arrive toujours, cette invention ne se perfectionna que par degrés. Aujourd'hui les cordes des pianos américains sont beaucoup plus grosses que celles dont les fabricants français, allemands et anglais font usage. Les pianos de MM. CHICKERING et fils sont de puissants et magnifiques instruments qui, sous la main d'un virtuose, produisent de grands effets et frappent d'étonnement. Leur vigoureuse sonorité se propage au loin, libre et claire. Dans une grande salle, et à certaine distance, l'auditeur est saisi par l'ampleur du sonde ces instruments.  De près, il faut bien le dire, à ce son puissant se joint l'impression du coup de marteau, qui finit par produire une sensation nerveuse par sa fréquente répétition. Ces pianos orchestres conviennent aux concerts; mais, dans le salon, et surtout en les appliquant à la musique des grands maîtres, il y manquerait, par l'effet même de ce coup de marteau trop prononcé, le charme que requiert ce genre de musique. "Les pianos de M. Philippe HERZ neveu sont habilement construits : le son est plein et de bonne nature; les claviers sont bien égalisés. Ces éléments constitutifs des instruments recherchés par les pianistes sont tout à fait développés dans le piano à queue qu'il a exposé, et qui, de plus, est d'une forme très-élégante. Le jeune facteur savait bien qu'un débutant n'a pas à se préoccuper des séductions de l'enveloppe pour présenter ses produits, qui doivent s'adresser aux oreilles bien plus qu'à la vue. Mais il a tenu commpte d'une vérité proclamée par la sagesse des nations, et qui peut s'appliquer à tout : il en a changé la lettre et suivi l'esprit, convaincu que si le luxe estérieur ne fait pas le piano, du moins il le pare. M. Philippe HERZ a placé un mécanisme très-soigné sans une belle caisse d'ébène, avec inscrustations et ornements dorés du style Louis XIV. Pour la valeur artistique de cet instrument, on a pu en juger lorsqu'une de nos célèbres artistes, Mme Escudier-Kastner, l'a fait si bien valoir en ecécutant une fantaisie de Thalberg, un fragment de Mozart et le Torrent, de Lacombe. "Nous sommes heureux de pouvoir dire que nous avions milles fois raison quand nous annoncions, en de'pit des contradicteurs, l'année dernière, la victoire si éclatant et sans précédent remportée par la maison Philippe Henri HERZ neveu et Cie à l'Exposition universelle. La médaille d'or, la seule pour la France, lui avait été décernée par le jury international à la majorité de 14 voix sur 15 membres présents. Il est vrai d'ajouter que, par suit d'une erreur, le nom de M. P . HERZ neveu et Cie ne figurait pas sur le premier tirage du catalogue des recomponses, et que cet oublie e'tait dû à un malentendu on ne peut plus regrettable, suscité d'ailleurs par les jalousies rivales, disons le mot. Nous apprenons avec grande satisfaction que les difficultés avec la Commission impériale sont entièrement aplanies, et que la médaille d'or, ainsi que le diplôme qui l'accompagne, vient d'être délivrée à MM. Philippe, H. HERZ neveu et Cie.
... à deux fois ne se font pas connaître. "Philippe HERZ, neveu et Cie. « A ce point de vue, un jeune facteur, dont la fabrique n'a pas plus de quatre années d'existence, M. Philippe HERZ neveu, a rendu un service, en adaptant à la mécanique des pianos obliques le système du double échappement, ou en leur donnant ainsi l'élasticité favorable à la rapidité de l'exécution, qualité qui, jusqu'à présent, avait été uniquement le partage du piano à queue. Les pianos de M. Philippe HERZ neveu sont habilement construits le son est plein et de bonne nature; les claviers sont bien égalisés. Ces éléments constitutifs des instruments recherchés par les pianistes sont tout à fait développés dans le piano a queue qu'il a exposé, et qui, de plus, est d'une forme très-élégante. Mais il a tenu compte d'une vérité proclamée par la sagesse des nations, et qui peut s'appliquer à tout il en a changé la lettre et suivi l'esprit, convaincu que si le luxe extérieur ne fait pas le piano, du moins il le pare. M. Philippe HERZ a placé un mécanisme très-soigné dans une belle caisse d'ébène, avec incrustations et ornements dorés du style Louis XIV. Pour la valeur artistique de cet instrument, on a pu est juger lorsqu'une de nos célèbres artistes, Mme Escudier-Kastner, l'a fait si bien valoir en exécutant une fantaisie de Thalberg, un fragment de Mozart et le Torrent, de Lacombe.
" Et pour leurs coups d'essai veulent des coups de maître. » En faisant l'éloge de cette manufacture, on ne doit pas oublier l'habile coopérateur, dont M. Philippe HERZ s'est assuré le concours, M. Marcus Knust, qui a travaillé, comme contremaître, six ans chez Erard, douze ans chez Pleyel, et dix-huitans chez Henri HERZ, et qui a été initié ainsi aux procédés des meilleures écoles de facture. » Les instruments de M. Philippe HERZ neveu ont été fort remarqués de tous ceux qui s'intéressent sérieusement aux progrès de notre fabrication nationale, ils le méritaient, et nous ne mesurons pas nos éloges et nos encouragements à cette jeune maison, qui, de l'avis des connaisseurs les plus difficiles, a pris, du coup, place parmi les plus justement renommées. "Pianos. — Médaille d'or. La seule médaille d' or pour la France, à l'exposition universelle de 1867, a été décernée à la maison P.-H. HENZ neveu et Cie, pour la supériorité de ses pianos. Paris, le 15 juillet, 1868. Je vous demande la permission de vous rappeler que notre maison est la seule maison française qui ait obtenu la médaille d'or à l'Exposition universelle du 1867 pour la fabrication des pianos. L'omission de notre nom dans la première édition du catalogue officiel est le résultat d'un malentendu, et va être réparée. Tous nos instruments portent la reproduction de la médaille d'or avec la mention de la séance dans laquelle le jury international nous a décerné cette haute récompense. 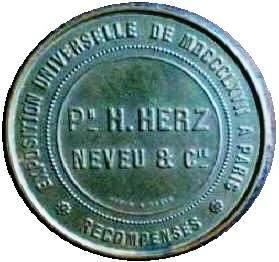 P. H. HERZ neveu et Cie. Le succès sans précédent que cette jeune maison (fondée seulement depuis quatre années) a obtenu à l'Exposition universelle, d'une façon si éclatante, comme on se le rapelle (puisque le jury international a voté à M. Philippe H. HERZ neveu cette médaille d'or à la majorité de 14 voix sur 15 membres), ce succès, disons-nous, n'est que la juste récompense des efforts incessants que cette manufacture a faits et des progrès qu'elle a réalisés depuis sa fondation, sans jamais s'arrêter un seul instant. Fort de la supériorité de ses pianos, M. Philippe H. HERZ neveu a déployé une énergie et une persévérance sans égales, dans cette lutte pacifique, pour soutenir à lui seul l'honneur français. Sans lui, les plus hautes récompenses passaient à l'étranger, et la France était vaincue pour la première fois. «A propos d'art et de concerts, je rappelle ici avec plaisir que la commission impériale de l'Exposition universelle de 1867 a donné une éclatante satisfaction à M. Philippe H. HERZ neveu, en réparant l'oubli dont ce célèbre facteur a été victime. Le Moniteur a constate que, par erreur, la maison Philippe H. HERZ neveu, fondée en 1863, ne figure pas au catalogue officiel des récompenses décernées à l'industrie des pianos à l'Exposition unniverselle de 1867. "Nous lisons dans le journal La France : Nous avons publié la note rectificative par laquelle le Moniteur universel, réparant. L'émission commise dans le catalogue officiel de l'Exposition 1867, au préjudice de la maison Philippe H. HERZ, neveu et Cie, constatait que cette jeune maison était la seule, en France, qui ait obtenu la médaille d'or pour la perfection et la supériorité de ses instruments. A l'époque de l'inauguration des salons de la rue Scribe, en 1864, la presse avait été unanime à reconnaître, avec tous les artistes, les progrès énormes que le chef de cette nouvelle maison venait de réaliser dans la fabrication des pianos, et l'admiration provoquée alors par les nouveaux instruments faisait facilement prévoir la victoire remportée à l'Exposition de 1867. "Nous avons publié la note rectificative par laquelle le Moniteur universel, réparant l'omission commise dans le catalogue officiel de l'Exposition de 1867, au préjudice de la maison Philippe H. HERZ, neveu et Cie, constatait que cette jeune maison était la seule, en France, qui eût obtenu la médaille d'or pour la perfection et la supériorité de ses instruments. A l'époque de l'inauguration des salons de la rue Scribe, en 1864, la presse avait été unanime à reconnaître, avec tous les artistes, les progrès énormes que le chef de cette nouvelle maison. venait de réaliser dans la fabrication des pianos, et l'admiration provoquée alors parles nouveaux instruments faisait facilement prévoir la victoire remportée à l'Exposition de 1867. "Il y a bien longtemps que nous n'avons eu l'occasion de mentionner, dans notre journal, la maison Philippe HERZ neveu et Cie.
Un article du journal La France nous apprend qu'il vient de s'opérer une remarquable transformation dans la fabrication des pianos à queue de cette manufacture. C'est un fait digne de toute l'attention des artistes et des amateurs; car nous savons d'ailleurs que, depuis quelques années, en fait de progrès, MM. Ph. HERZ neveu et Cie ont le privilège d'en donner le signal. Nous reproduisons donc aujourd'hui l'article de la France sans commentaires, nous réservant de juger par nous-mêmes, en assistant demain à la soirée musicale donnée, à cet effet, dans les salons de la rue Scribe, le mérite des nouveaux perfectionnement apportés par la nouvelle maison à ses instruments, et de faire connaître ce que nous pensons de l'influence qu'ils peuvent avoir sur la fabrication des pianos. Une des branches de l'industrie française qui ont le plus brillé à la dernière Exposition universelle de Paris est incontestablement la fabrication des pianos. On se rappelle le bruit qui s'est fait autour des pianos américains : une jeune maison de Paris a pu seule lutter et remporter une victoire éclatante dans ce combat pacifique, c'est la maison Philippe H. HERZ neveu; c'est à elle qu'a été décernée la grande médaille d'or pour la perfection de ses instruments. On pourrait croire qu'elle allait se reposer sur un pareil succès : il n'en est rien; comprenant que c'est principalement la catégorie des pianos à queue qui intéresse l'art musical, et que si peu de facteurs en Europe osent aborder, à cause des difficultés de fabrication qu'elle oppose aux novateurs les plus courageux, M. Philippe H. HERZ s'est livré à de nouvelles recherches et à de nouvelles études. Tout en tenant compte des progrès du passé, il vient de faire faire un nouveau pas à ce genre de produit. Il a trouvé un système entièrement neuf; et, sur des données inéprouvées jusqu'à ce jour, il est parvenu à donner aux pianos à queue des qualités que ni l'Amérique, ni l'Angleterre, ni la France n'avaient crues possibles. "Nous avons mentionné, dimanche dernier, le décret qui nomme M. Knust, contre-maître de la maison Philippe HERZ neveu et Cie, chevalier de la Légion d'honneur. Nous devons insister tout particulièrement sur un fait qui intéresse au plus haut degré le développement de la facture des pianos en France. — C'est la première fois, en effet, qu'un simple ouvrier dans cette industrie reçoit une distinction honorifique qui n'avait été jusqu'à présent accordée qu'aux chefs de maison. Combien y en a-t-il parmi ces derniers qui auraient eu assez de désintéressement pour mettre au premier plan leur collaborateur modeste qui, sans cette initiative, serait resté éternellement obscur, pour ne pas dire inconnu ? M. Philippe HERZ aura eu cet honneur de s'être effacé sans hésitation quand son mérite personnel lui permettait de se mettre le premier en ligne. « A l'occasion de la nomination récente au grade de chevalier de la Légion d'honneur de M. Knust, ouvrier depuis près de cinquante ans dans les première» fabriques de pianos, actuellement contre-maître chez M. Philippe HERZ neveu et Cie, un grand nombre d'ouvriers de cette industrie se sont présentés dimanche dernier au cabinet du Ministre des beaux-arts, et ont exprimé à M. Maurice Richard le désir d'être admis auprès de l'Empereur et de pouvoir Temercier Sa Majesté de la distinction accordée par Elle à leur contre-maître. L'Empereur ayant bien voulu accueillir favorablement cette demande, une députation des ouvriers a eu l'honneur d'être présentée par le Ministre des beaux-arts à Sa Majesté et de lui exprimer, par l'organe de leur patron, leur profonde reconnaissance et leur entier dévouement. L'Empereur, avec son affabilité habituelle, s'est entretenu, avec la députation de la fabrication des pianos, de l'importance de cette industrie, et a exprimé toute la satisfaction qu'il avait éprouvée d'accorder la croix de la Légion d'honneur à M. Knust, et à tenir compte du mérite partout où il se rencontrait. Nos informations personnelles nous permettent d'ajouter quelques détails intéressants à la note du Journal officiel sur cette réception. L'Empereur a voulu donner à son audience une certaine solennité à laquelle était loin de s'attendre la députation. En effet, c'est dans une des salles de gala qu'elle a eu lieu, et, dès son entrée, l'air affable de Sa Majesté, un mot aimable dit à chacun de ceux qu'il recevait, les a promptement mis à leur aise. Sa Majesté a répondu, « qu'elle avait été heureuse de donner ce témoignage de sa satisfaction à celui qui avait su contribuer, par son habileté et son travail, au progrès de la facture des pianos. Après quoi l'Empereur a adressé à M. Philippe HERZ diverses questions sur sa fabrication et sur l'importance de ses produits. "On remarque beaucoup à l'Exposition du Palais de l'Industrie les pianos de M. Philippe HERZ; trois pianos de formats droits et trois pianos à queue constituent l'envoi de cette importante maison. "M. STREICHER, de Vienne, chef d'une manufacture de pianos, qui jouit en Allemagne de beaucoup d'estime, n'avait pas envoyé d'instrument à l'Exposition universelle de Paris, en 1855, mais il prit part à celle de Londres, en 1862. Il y envoya un grand piano qui, par comparaison avec les excellents produits des facteurs anglais et français, parut médiocre. Par considération pourl'anciennetédel'établissementde M. STREICHER, etne voulant pas porter atteinte à ses affaires, le Jury décerna une médaille à ce facteur; toutefois, ce fut plutôt comme souvenir de ses anciens succès que comme récompense pour son piano. Il est vraisemblable que M. STREICHER lui-même se jugea alors avec sévérité, et qu'il fit des études comparatives des grands instruments qui se trouvaient à l'Exposition. "Wir kommen zu der österreichischen Clavierfabrikation, die auf der Ausstellung vollzähliger und glänzender als je repräsentirt war. J. B. STREICHER hatte nur Einen Flügel ausgestellt, aber es war der schönste, der vielleicht je aus den Händen dieses Altmeisters hervorgegangen. Er klingt kraftvoll, klar und brillant. Am bewunderungswürdigsten ist der Bass, die schwache Seite so manches schönen Instruments, durchaus klar und bestimmt, jeder Ton majorenn. Das STEINWAY'sche System der gekreuzten Saiten ist in diesem Flügel angewendet; dass es die Vortrefflichkeit des letzteren erkläre, können wir aber nicht behaupten, da wir in neuester Zeit geradsaitige Claviere von STREICHER gesehen, die seinem Ausstellungs-Instrumente an Ton kaum nachstanden. Aber eine andere wichtige Verbesserung, die STREICHER allein angehört, hat den wesentlichsten Einfluss auf die Schönheit und Klarheit des Discants geübt: der elastische Hammerstuhl. STREICHER durchschneidet die sogenannte Hammerbank der Länge nach, und zwar vom höchsten Discant herab bis zum in der Mitte ihrer Höhe, wodurch die obere Hälfte, nur an beiden Enden auf einem Lcderlappen aufruhend, frei schwebt. Durch dies ebenso einfache als sinnreiche Mittel wird das bei Clavieren englischer Construction so häufige, störende Pochen des Hammerschlags im Discant beseitigt und die höchsten Töne erscheinen ganz so klar, wie beim Wiener Mechanismus, in welchem die Hammerstiele bekanntlich an keinem Hammerstuhl, sondern unmittelbar auf den Tasten befestigt sind. Nach der Tiefe zu, wo die Saiten länger und stärker klingen, vermindert sich natürlich im gleichen Masse jene störende Rückwirkung des Hammerstuhles; desshalb hat STREICHER seinen elastischen Hammerstuhl auch nur im Discant angebracht. Zugleich hat STREICHER's Mechanik durch die Anwendung der, von Fr. Ehrbar bereits in London (1862) ausgestellten Repctitionsfedern eine weitere Verbesserung erfahren, welche sein Instrument rücksichtlich der Repctition neben die vorzüglichsten französischen stellt. Neben STREICHER'« Musterflügel stand, ebenbürtig an Werth, wenn auch verschieden im Charakter, ein Piano von Ehrbar in Wien. Man kennt den edlen, weittragenden Gesang, der die Instrumente dieses Meisters auszeichnet; sein in Paris ausgestellter Flügel steht an ausgesprochener Individualität der Klangfarbe obenan. Diese Klangfarbe ist nicht so glänzend wie bei STREICHER, dessen Ton auch „eher da ist", aber an Adel und gleichmässiger, charaktervoller Weichheit ist sie einzig. "Messrs. Broadwood have sent four splendid "concert "grands," cased in oak, rosewood, and other kinds of wood. I consider the instrument in the oaken case to be the finest, and it is impossible to conceive sonority, brilliancy with depth and purity of tone, more admirably combined than in the piano to which I refer. "BROADWOOD, John, & SONS, 33 Great Pulteney-street, London, W.
Five Grand Pianofortes with Iron Frame, Patent Screw Pin Piece, and all recent improvements. Cinq Pianos à Queue, à Charpente en Fer, Plaque brevetée à Chevilles à vis, et munis de tout les Perfectionnements les plus recents. Fünf Fliigel mit eisernem Rahmen, patentirter Schraubenstimmnagelplatte und alien neuesten Verbesserungen. Full Size in ease of Coromandel wood. Construction—Iron frame ; one straight iron brace, flanged ; one oblique iron brace, flanged; brass suspension bar; patent screw pin piece. Full Size, in ebony case with carved mouldings. Construction—Iron frame; one straight iron brace, flanged; one oblique iron brace, flanged; brass suspension bar; patent screw pin piece. This is a concert instrument. In fine Syrian walnut-wood case. Construction—Iron frame ; two straight iron braces, flanged; patent screw pin piece. Medium Size in rosewood case. Construction — Iron frame ; two straight iron braces, flanged; patent screw pin piece. Caisse en chêne du Canada. Construction — Charpente en fer; une barre droite en fer, à rebords; une barre oblique en fer, à rebords; barre de suspension en cuivre; plaque brevetée à chevilles à vis. Prix, 5,250 frs. Caisse en beau noyer de Syrie. Construction — Charpente en fer; deux barres droites en fer, à rebords; plaque brevetée à chevilles à vis. Prix, 6,562 frs. Grand Models; caisse en bois de Coromandel. Construction — Charpente en fer; une barre droite en fer, à rebords; une barre oblique en fer, à rebords; barre de suspension en cuivre; plaque brevetée à chevilles à vis. Prix, 10,500 frs. Grand Modele; caisse en ébène avec moulures sculptées. Caisse en chene du Canada. Construction — Charpente en fer; une barre droite en fer, à rebords; une barre oblique en fer, à rebords; barre de suspension on cuivro; plaque brevetée à chevilles à vis. Ce piano est un instrument de concert. Diverses Modèles illustrant la construction des instruments. Erste Grosse, in Hasten von Coromandel Holz. Construction: Eiserner Rahmen; eine gerade eiserne Spreize, gerandert; eine schiefe eiserne Spreize, gerandert; messingene Tragspreize; patentirte Schraubenstimmnagelplatte. Erste Grosse, in Kasten von Ebenholz, mit Bildhauerarbeit. Construction : Eiserner Rahmen; eine gerade eiserne Spreize, gerandert; eine schiefe eiserne Spreize, gerandort; messingene Tragspreize; patentirte Schraubenstimmnagelplatte. In einfachem Kasten von Canadischer Eiche. Construction: Eiserner Rahmen ; eine gerado eiserne Spreize, gerandert; eine schiefe eiserne Spreize, gerandert; messingene Tragspreize; patentirte Schraubenstimmnagelplatte. Dieses ist ein Concert-Instrument. Preis: 1,400 Thlr. In schonem Kasten von Syrischem Nussbaumholz. Construction: Eiserner Rahmen; zwei gorade eiserne Spreizen, gerandert; patentirte Schraubenstimmnagelplatte. Preis: 1,750 Thlr. Mittelere Grösse, in Kasten von Palissanderholz. Construction: Eiserner Rahmen; zwei gerade eiserno Spreizen, gerandert, patentirte Schraubenstimmnagelplatte. Preis: 945 Thlr. Verschiedene Modelle, die Construction erlauternd."